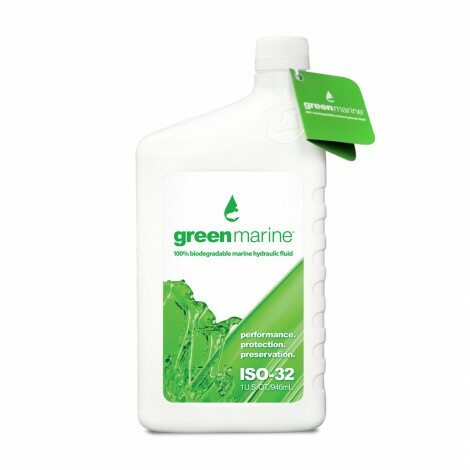 Help preserve the environment with the proven performance and unparalleled protection of Green Marine ISO-32 100% biodegradable hydraulic fluid. Engineered to exceed industry standards, this environmentally responsible hydraulic fluid is made from an American-grown annually renewable resource and surpasses the highest standards of biodegradability. Pair it with your Power-Pole shallow water anchor for the ultimate combination to enjoy and preserve our precious resources. Also works for jack plates, trim tabs, hatch lifters, inboard/outboard tilt & trim and more. Power-Pole is teaming up with Costa Del Mar and other major players in the marine industry to reduce the amount of plastic that is dumped into the environment every year. Our oceans are flooded with plastic particles that threaten our sea life and our food chain. Power-Pole products are designed to be environmentally friendly. The Power-Pole spike is designed to prevent disruption of bottom grasses, coral reefs and oyster beds. Green Marine biodegradable hydraulic fluid is safe for sea life should it accidentally enter the water. Most importantly, the Green Marine plastic bottle is made of recycled plastics. We encourage you to keep plastic in this cycle by not discarding the Green Marine bottle but putting it into your recycle bin so that it doesn’t create any additional harm. Remember every bit of plastic that has ever been manufactured is still on the earth somewhere. By using less and recycling more we can make a difference and help kick plastic.